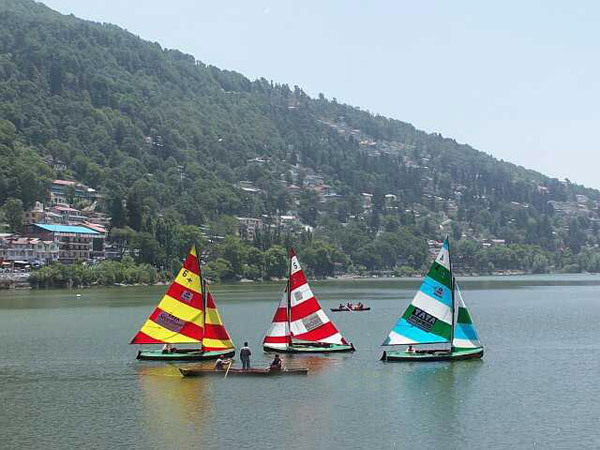 Trekking – The people who love to experience adventure and to conquer difficult roads will enjoy Trekking in Nainital. This is for the people who are exercise freaks and loves to walk on rocky terrains. The aura of the green backdrop gives fresh enthusiasm when the group start to take a tour of the roads to Tiffin’s top or Dorothy’s seat and Naina peak and a few others that are good for the trekkers. There are different tour operators those who can customize packages so that you can start with your adventure without much hassle. The camping facility can also be availed from the operators. surroundings are to rent a boat and jump into the sport of boating. You will find paddle boats, row boats and yachts for this purpose and enjoy roaming around the fresh water lakes that are natural and full of different types of surrounding scenarios. The Naini Lake has this facility and you can see the mountains that surround the place. There is tha Sattal Lake and some other lakes all of which has options for you to enjoy the cooling breeze and the gliding experience through smooth water. Wild Life Sight-seeing and nature walk – The Jim Corbet national park is the ideal place for people who loves animals and prefer them in natural surroundings. The wild creations of nature can be observed in open and normal backdrop and the wildlife that you may view here are the leopards and tigers, Himalayan black bears and sloth bears and yellow coated marten, jackal and porcupines, elephant and spotted dear and many other small and big animals that you will love to see there. You can also enjoy walk along the raw and exhilarating road towards the Tiffin top mountain. The name of the road is McDonald’s circular road. There are many other lesser known roads that can give you peaceful walking experience. Horse Riding – There are spots in Nainital that has options for this sport and people find it a good way to spend quality time here. Barapatthar is the place where you will find the horses and you can hire one to roam around the particular road, enjoying the nature’s abode in the forests and hilly walls around. Snow view point is about 2270 meters and gives you a picturesque view of the peaks with the clouds and from the horse back you might feel it a piece of heaven with all the beautiful scenes around. 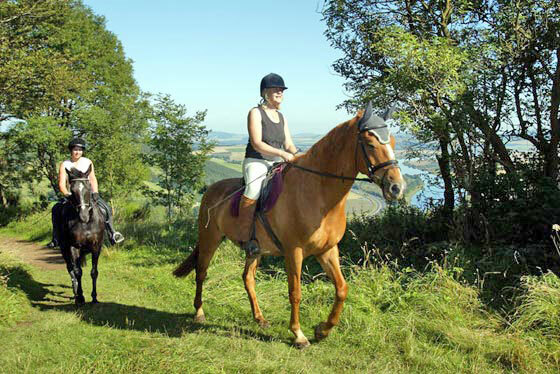 You can move towards the Tiffin Top on horse back and find the hardy and brown roads amidst the lush greenery.